Prescription orthotics are medical appliances that are custom-made to correct specific foot imbalances, meaning they are specifically designed for only you to wear. Over-the-counter (OTC) orthotics are also available at your local pharmacy. However, generic OTC orthotics, while helpful, are not specifically designed for you, nor are they designed to correct your specific imbalances. Our State-of-the-Art Metascan diagnostic system is an efficient, highly accurate and scientific means of patient assessment. The proprietary software is unmatched in its clinical diagnostic capabilities and interactive patient education. Our Metascan dynamic software scans the foot 150 times per second tracking 8 key points along the plantar surface of the foot. 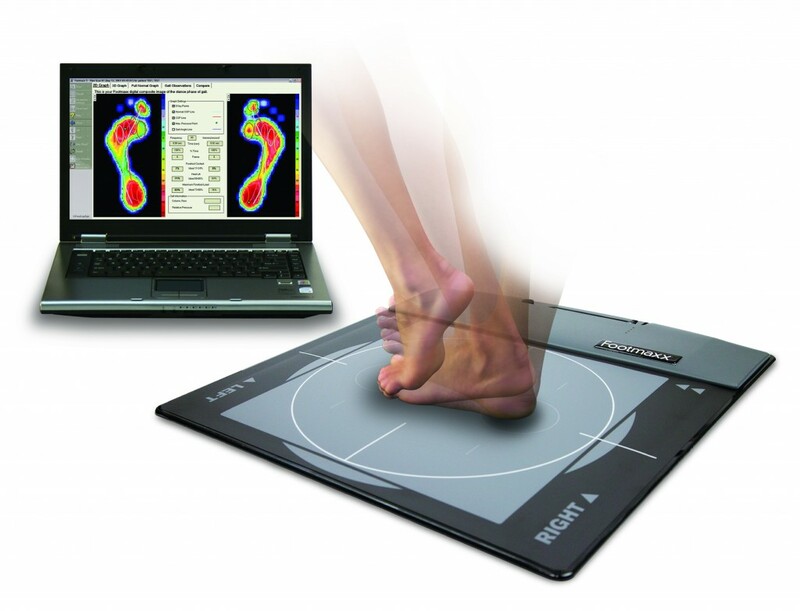 Our dynamic display captures bilateral plantar pressure during the stance phase of gait. Gait observations show each of the 8 key points relative to pressure and time in a colour corresponding to the 2D and 3D composite image and displays gait analysis data. The Full Normal Graph compares the patient’s 8-point graph to a normal graph of the stance phase of gait. The Metascan diagnostics translates the digital information along with the clinician information into a prescription for custom orthotics. The Metascan 8-Point Gait and Pressure Analysis Report provides the practitioner with a unique dynamic analysis tool for the diagnosis and treatment of the aberrant foot function. Using the data, the 8-point analysis gives specific information on the distribution and timings of pressures through the different areas of the foot and compares them to normal allowing our health care professional to provide the most accurate orthotic possible. After 10 years of using this technology and providing orthotics we have a impressive minimal 2% return rate. Click to book your appointment today.